Bhagirath Prayaas Samman (BPS) constituted in 2014, is an attempt to recognize inspiring, outstanding, sustained efforts/contributions (Prayaas/tapasya) of river warriors/champions towards protection and conservation of India’s rivers. The Anupam Mishra Medal has been initiated last year by the Organising Committee in an effort to celebrate media professionals who have established an exceptional body of credible work on various aspects of rivers leading to changes in behaviour, public discourse, law and policy. This year’s BPS and AMM will be awarded by a jury panel whose members are Mr Samar Singh, Dr Shashi Shekhar, Dr S Janakrajan, Dr Amita Baviskar, Mr Abhilash Khandekar, Mr Himanshu Thakkar, and Mr Ravi Singh. Nominations may be submitted via the online forms linked below. Bhagirath Prayaas Samman aims to recognise outstanding, sustained efforts of river warriors towards protection and conservation of rivers. 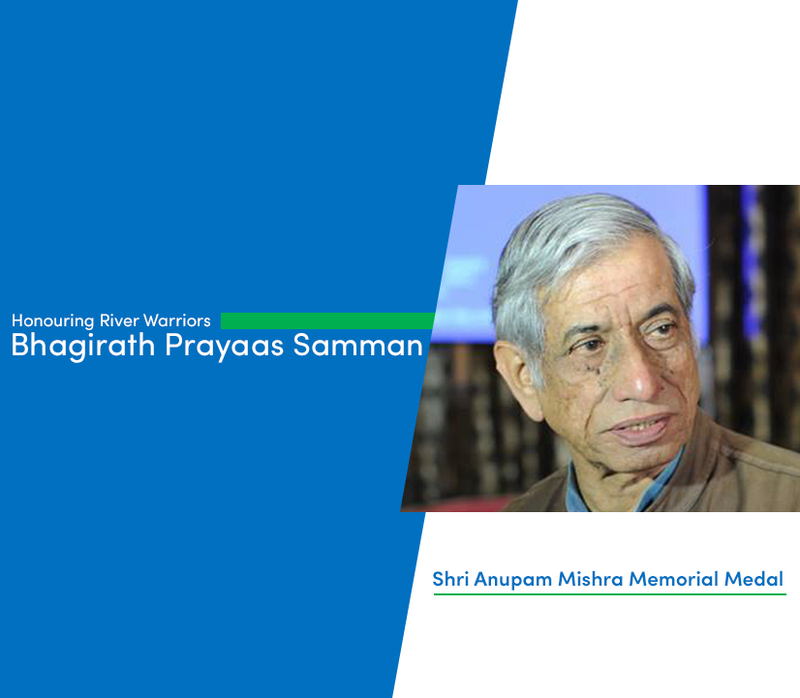 In memory of Shri Anupam Mishraji, the India Rivers Week Committee awards a medal to recognise media professionals for their work on rivers.